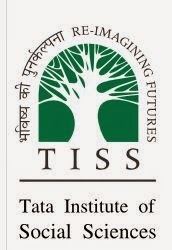 The Tata Institute of Social Sciences (TISS) which was established in 1936 is a Deemed University fully funded by the University Grant Commission (UGC), Government of India. The TISS offers Master Degree Programmes in a range of Socially relevant inter-disciplinary of Social Work, Social Sciences, Health, Management, Labour Studies and Habitat Studies from its Mumbai, Tuljapur, Guwahati and Hyderabad Campuses. It has a strong M.Phil/Ph.D programme a high degree of freedom and autonomy shape the positive work ethos and creativity in the Institute. The TISS offers a very challenging but fulfilling academic environment and opportunities to practitioners committed to creating a just society through education, generation of knowledge and field action. TISS invites interested persons with Indian Citizenship located within and outside India to apply for the following contractual positions in Education which are coterminus with the project funding under CLIx. The Centre for Education Innovation and Action Research (CEIAR) is a new Centre at TISS Mumbai which is being established to engage with and promote innovation in school curriculum, teacher education and higher education curriculum and pedagogy. The Centre will incubate and promote innovations that will address the needs of India education and relevant to the developing world, and the innovative use of new technologies and media to raise quality and standards. Towards this the Centre will collaborate and engage with research, development, teaching and field action. The Connected Learning Initiative (CLIx) (please click here for more details) is an innovative field action programme being launched by the CEIAR, to improve the professional and academic prospects of high schools students from underserved communities in India. CLIx incorporates pedagogical design and leverages contemporary technology, including online capabilities, to provide quality educational content and experiences at scale. CLIx will initially focus on the areas of Mathematics, English and Science along with values and professional competencies to widen opportunities for Indian youth for academic studies, work and lifelong learning. Teacher education is an integral part of the initiative. The CEIAR will work in partnership and collaboration with research and development institutions, and state governments. Faculty will be expected to contribute to the research, development, teaching and extension activities of CEIAR. In particular to the design and development of curricular offerings and assessment, integrating technology, large scale reform processes involving the use of technology and networks and building communities of practice, working closely with collaborators and state governments, designing and offering courses of teacher professional development, and designing and conducting research, guiding students and other related academic activities and associated administrative responsibilities. Faculty will be expected to lead new academic initiatives and to develop new research projects for the Centre. Faculty appointments to the CEIAR will be on contract initially for a period of one year which may be extended for an additional two years based on performance, review and need. Positions may be at the Centre in Mumbai Campus of TISS or at the CLIx project office in Bengaluru. Professor/Associate Professor/Assistant Professor positions will be offered based on relevant qualifications and research/teaching/experience and publication record. 1. Good academic record with at least 55% of the marks or an equivalent grade of ‘B’ in the 7 point scale with letter grades O, A, B, C, D, E and F at the Master’s Degree level from an Indian University, or an equivalent degree from an accredited foreign university, in the relevant discipline/Education. A relaxation of 5% will be provided from 55% to 50% of the marks at the Master’s level for the SC/ST category candidates, and to the Ph.D. Degree holders who have passed their Master’s Degree prior to 19th September 1991. 2. For Associate Professor/Professor: PhD in the relevant discipline(s)/Education. A minimum of 10 years of teaching at PG level/ research and publications. Last date of Receipt of Application: May 24, 2015 (online application only, see below). Interview: The eligible candidates will be communicated by an e-mail and mobile phone to appear for the interview to be conducted at Mumbai/Bengaluru in the first week of June, 2015. Application fee: The application fee of Rs.500/- to be paid on-line. For SC/ST/PWD candidates the fee is not applicable. The application will be valid only on receipt of the application fee for those who are required to pay. Fees once paid shall not be refunded under any circumstances.  The Institute reserves the right to not fill up the vacancies advertised.  Since applications received may be short listed, merely possessing the prescribed qualifications and the requisite experience would not entitle a person to be called for interview.  No queries or correspondence regarding issue of call letter for interview / selection of candidates for the post will be entertained at any stage and canvassing in any form is strictly prohibited and will lead to the candidate being debarred from consideration for the post.  The institute reserves the right to relax qualification of the candidate based on the work experience.  No TA / DA is payable for appearing for the interview. The candidates are requested to apply online through the link (Apply now) provided alongwith this advertisement on the Institute's website www.tiss.edu. The candidates are required to take a print of acknowledgement of online application and keep it for future reference.